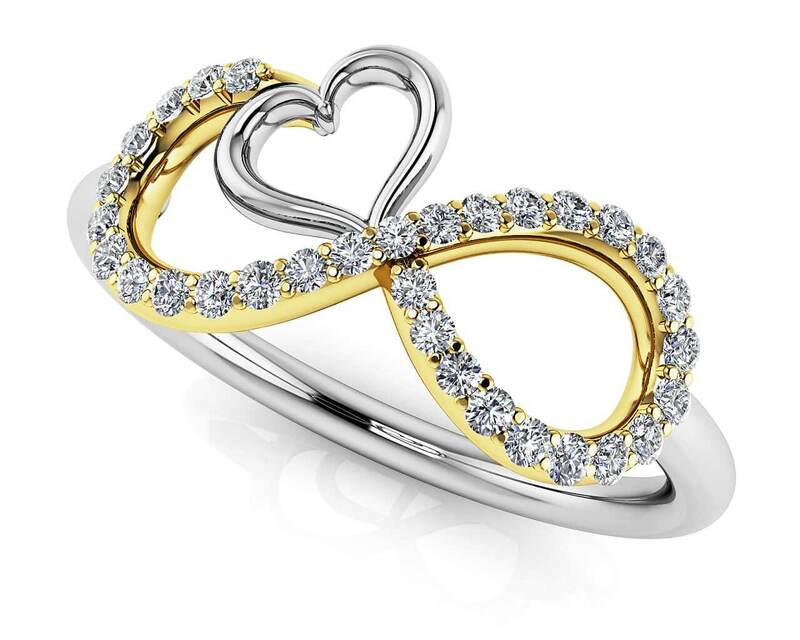 Total Carat Weight: 0.24 ct.
Express your unique style with this beautiful ring with its special infinity design. 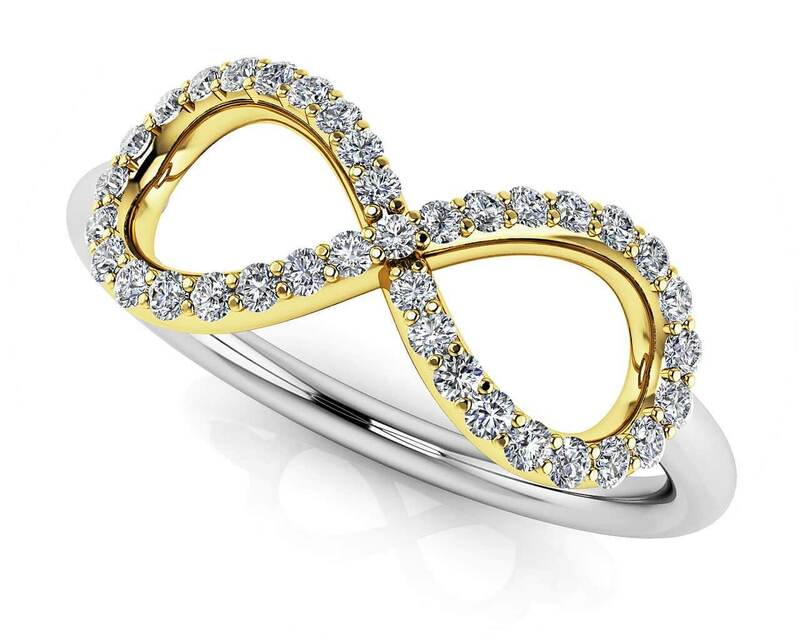 Brilliant round diamonds sparkle in perfect harmony to highlight the strength and symbolism of the infinity shape. 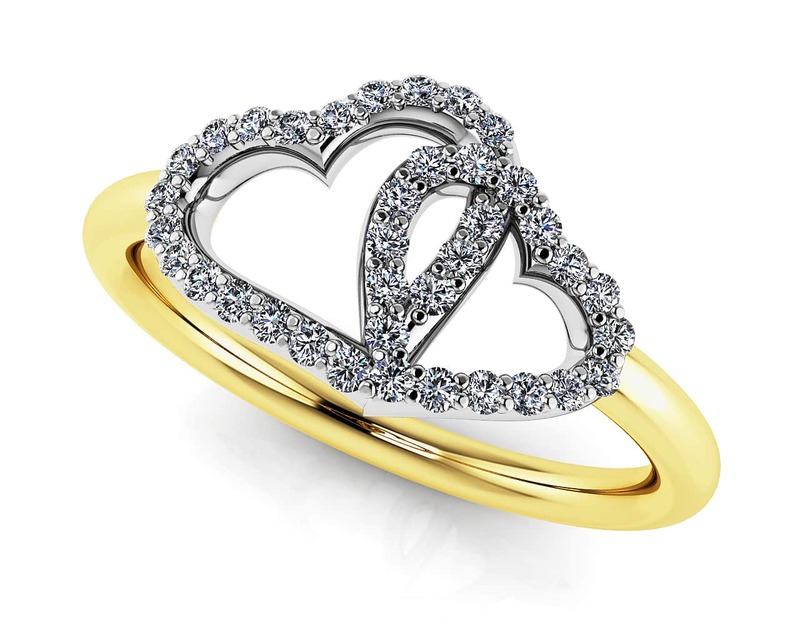 Choose yours today in either a gold or platinum setting. Model Carat Weight: 0.24 ct. Effective Carat Weight: 0.24 ct.
Stone Carat Weight: 11X.005 ct., 14X.007 ct., 11X.008 ct.